Firstly its obvious that the altitude is the major factor in guaranteed snowy slopes, however, you also need to check for high altitude lifts, glacier skiing, north facing slopes and extensive snowmaking facilities (on the off chance it’s a disappointing snow year). You can check previous year’s snowfall and take that into account as well as perfectly groomed slopes and a good depth of fine powdery snow reports. Nobody wants to book their ski holiday and be disappointed at the lack of snow so be prepared and do your homework before booking. Here are the best 10 ski resorts for guaranteed snow. Its slopes are up to 3,456m with 300km of pistes ranging from 1,550m-3,456m. It’s a giant ski area with the best snowmaking facilities in Europe. Here the slopes are up to 3.330m and are known as the freeride capital of the Alps. The highest lift goes up to 3,330m and the resort covers 400km of linked pistes to explore. The slopes reach up to 2,870m whilst the village is at 1,400mm the snowmaking system is excellent and skiers come here to enjoy the après ski too, with 238km of pistes suitable for all. This high glacial resort has slopes ranging from 1,650m–3,570m, with 200km of very well groomed slopes and an impressive 200 snow guns to keep the slopes snow packed. The slopes at this upmarket resort reach 2,450m and are linked with its neighbouring resorts giving the highest annual snowfall in Europe at a depth of 10.6m. The top lift is at 2,450m and has north facing slopes with snow guns that keep the 185km of slopes in great condition. These ski areas are linked across the Matterhorn and with its high altitude at 3,820m is a favourite with many as snow is guaranteed. Cervinia is at 2,050m, however, the lifts go up to 3,820m with over 200km of pistes to enjoy and the views are breathtaking. Has some of the best snow in America with averages of 9.4m depth and slopes reaching 3,185m, The highest lift is 3,185m in the massive 2,500 acres ski area. This popular ski resort in North America is preferred by British skiers where its slopes reach 2,285m covering 3,300 hectares of skiable pistes. The top lifts reach 2,285m and this vast area is centred on two main ski areas. Its slopes reach 3,250m and you may have seen this beautiful valley in the James Bond film Spectre. Not one but two glaciers guarantee wonderful snow cover over the 144km of perfectly groomed slopes. 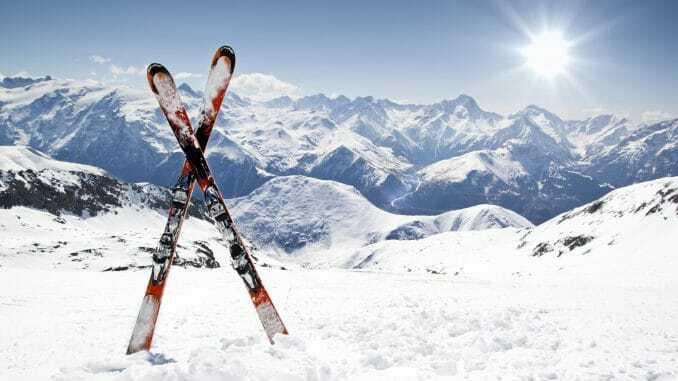 Booking any of the above ski resorts will guarantee you fabulous snow covered slopes whether you choose Europe or head further afield to the States. There is plenty of choice with great altitude, ski lifts, snowmaking machines and excellent pistes with great après ski on offer to make your stay at any of the ski resorts enjoyable. All you need to do now is decide on your destination, book it and have a wonderful holiday, happy skiing!